How Do I Qualify for Seaman Status Under the Jones Act? The Jones Act is a set of federal rules that protects American workers injured while working at sea. Also referred to as the Merchant Marine Act of 1920, this law allows qualifying sailors who have been involved in accidents or become sick while performing their duties to recover compensation from their employers. So does everyone that is injured or who becomes sick while working offshore automatically qualify for benefits under the Jones Act? Not always. 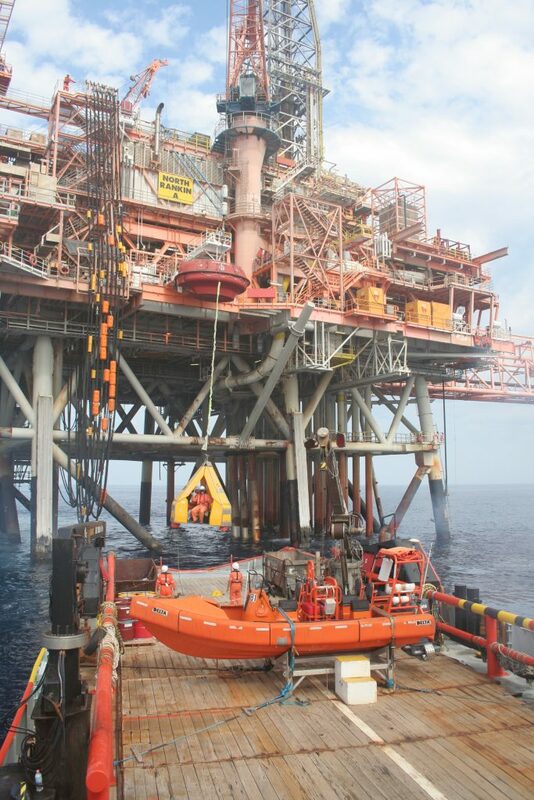 In the following case that stems from an oil platform injury we see how the courts evaluate the seaman status (status necessary to receive benefits) under the Jones Act. Michael Alexander was employed by Express Energy Services Operating, L.P.’s plug and abandonment department which plugs decommissioned oil wells in various locations off the coast of Louisiana. In 2011, Michael’s foot was injured while working a project on a platform. Michael and the crew were working on the platform at the time of his injury but the crane that injured him was located on a liftboat operated for the benefit of the crew. Michael filed his action under the Jones Act (46 U.S.C. § 30104) seeking maintenance and cure benefits. Express filed a motion for summary judgment contradicting Michael’s seaman status stating that Michael was a platform-based employee who failed to satisfy the test for seaman status. A motion for summary judgment is a legal filing that states the law does prevents the other party in the lawsuit from proceeding for various reasons. In this case Express filed their summary judgment motion stating that Michael was not a seaman under the provisions of the Jones Act. For the court to have decided against summary judgment, Michael would have had to show that there was a possibility of his employment status qualifying as a seaman and falling under the Jones Act. To qualify as a seaman an employee has to prove two things laid out by the Supreme Court in the Chandris case (515 U.S. 347 (1995). The first thing to prove is that the employee’s duties contribute to the running of the ship or vessel. The second thing to prove is that the employee performs a substantial amount of his duties on board the ship or vessel. The second part of this test is the most important to the analysis of seaman cases and is in place to separate the employees who are entitled to the protection of the Jones Act from the land-based employees who are not exposed to the same risks as employees who spend a majority of their time at sea. Concerning the first part of the test, Express presented a case that Michael did not contribute to the running of a vessel because the bulk of his work is done on non-vessel platforms. For the second part of the test Express’s position was that though Michael’s work involved a vessel around 35 percent of the time, he cannot demonstrate a sufficient amount of time spent on the vessel. The District Court in Louisiana evaluated the competing arguments and decided that Express was correct and dismissed his case. Not being happy with that decision Michael appealed the decision to the United States Court of Appeals for the Fifth Circuit. The Fifth Circuit set about reviewing the decision by first looking at the standards typically addressed in Jones act cases. The Fifth Circuit’s rule of thumb to asses whether a maritime worker qualifies as a seaman starts with a showing that the worker should be in service of a vessel at least 30 percent of his time while working. Despite Michael’s assertion that he did contribute to the running of the liftboat and that under a previous case he should be able to count the amount of time worked on a platform as long as there was a vessel merely adjacent to the platform and assisting with the work, he failed to show that he met the 30% time requirement of the second part of the test. In the end, the court felt that Michael had failed to meet both parts of the test for seaman status. Given Michael’s failure to give evidence to his possible status as a seaman the Fifth Circuit Court of Appeals concluded that the District Court was correct in dismissing Michael’s case against Express with prejudice and affirmed the order granting Express’s motion for summary judgment. This decision illustrated that working on or around a vessel does not necessarily qualify a person as a seaman in the eyes of the law. The case also shows the fact specific analysis that courts go through when evaluating whether or not an injured party can qualify for Jones act benefits. If you find yourself in this situation the best Jones Act attorneys will be able to provide you with the right guidance to ensure your rights are protected. Additional Sources: MICHAEL ALEXANDER VERSUS EXPRESS ENERGY SERVICES OPERATING, L.P.